This is the adorable moment a ravenous rabbit couldn't help but display her excitement upon seeing treats on the kitchen table. 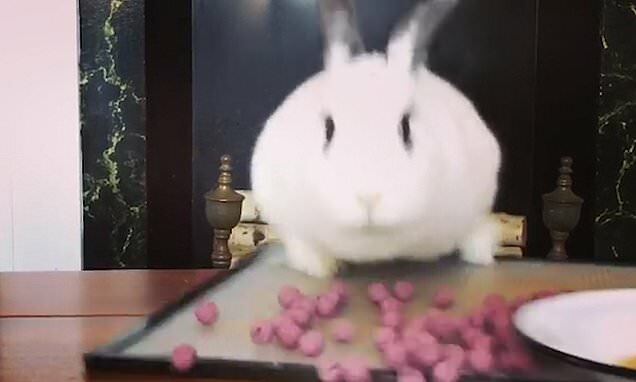 In the video, filmed in Richmond, Virginia, Delilah the rabbit peers over the kitchen worktop and spots the pink mouth-watering treats laid out in front of her. The excited bunny leaps onto the table to get a taste of the eye-catching treats but despite her best efforts all does not go quite to plan.